This photo is one of the results of my hang-out while I was in spare time in my field-working college. 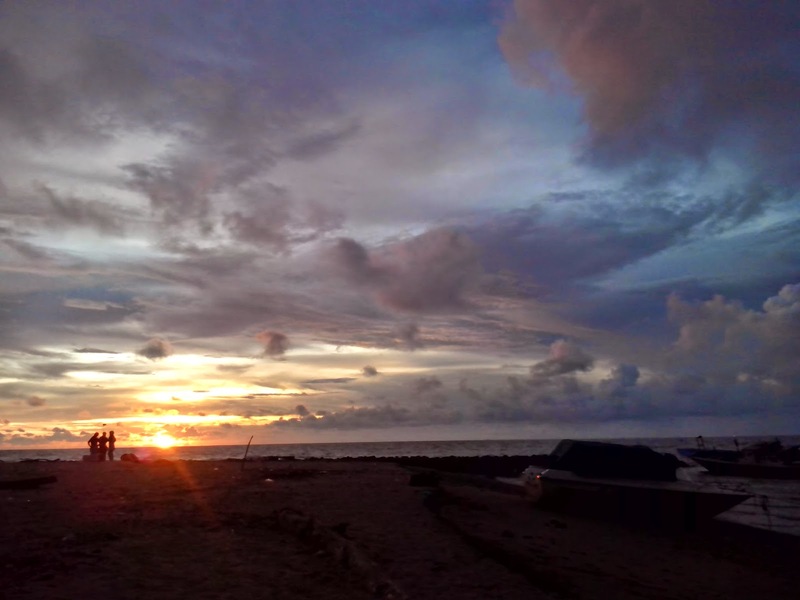 I went to a nearest beach called Takisung from the village called Ambungan where I stayed for one month. It took over an hour on a motorbike to reach the place. In the late afternoon before sunset, I came here with my classmates who lived in villages around the beach, while they took their own picture, I took my own making them as the object.